LCC - 'Calx' from LCC on Vimeo. LCC (previously known as LasCasiCasiotone) is Ana Quiroga and Uge Pañeda who hail from the Asturias region of northern Spain, and are now based in Gijon. After a a couple of digital only releases Editions Mego is now set to release their first physical full length entitled d/evolution. encapsulating the paradox between man and earth. It reflects on the paradigm that is Evolution, and examines the extent to which our development and technological advancement, which is inevitably bound to the extraction and processing of minerals from the earth, has broken and deformed our natural environment. Depleting our resources in an unsustainable way turns what had previously been a symbiotic relationship between humans and the earth into a parasitic one. Man’s natural rhythms are kept in check by nature’s rhythms, and vice versa. There is a constant fight to maintain the fragile equilibrium. 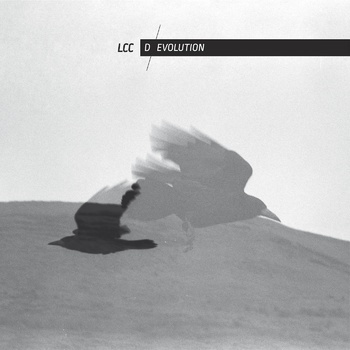 d/evolution plays with this ambiguity play with an ambiguous sound; they juxtapose warm soundscapes with rough sounds, evoking images of urban and natural environments simultaneously and transforming synthetic sounds into organic ones. A journey of sounds, from the highest peaks to the bowels of the Earth.